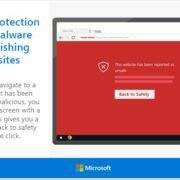 It is easy to reset the Google Chrome browser setting to default on Desktop PC but what about the Chrome browser app of Android phones those nowadays used for browsing much more as compared to the Desktop chrome browser. 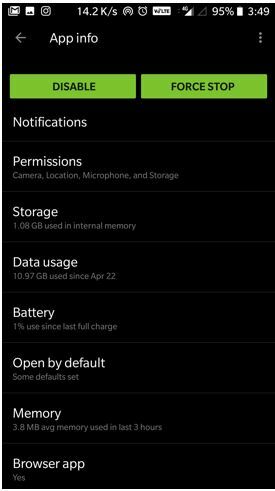 To reset Chrome settings in Android Phones to default; whether you talk about data or clear the default browser opening both can’t be done directly from the chrome app and you need to access the system settings to perform this task. 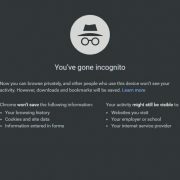 Now, what is the need of resting the chrome browser on Android? 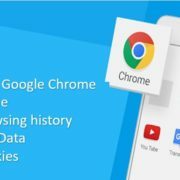 Many times you just want to reset the chrome app because of annoying behavior or you want to give your smartphone to children, sister or brother and before giving to them you want to clean all your history, accounts and other data from Google Chrome on Android with just one click. These are some scenarios where you need to reset the browser on Android. So, without much delay lets see this step by step guide to reset the chrome settings on Android. First, go to your Android system settings. Scroll down to find the option called “Apps“. 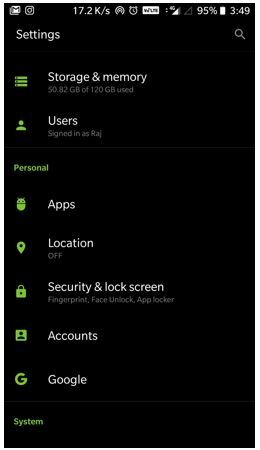 The location of Apps option might be different from phone to phone becuase of custom Android skins. But if you are using the stock Android then you can easily find it out. You will get a complete list of installed apps on your smartphone. 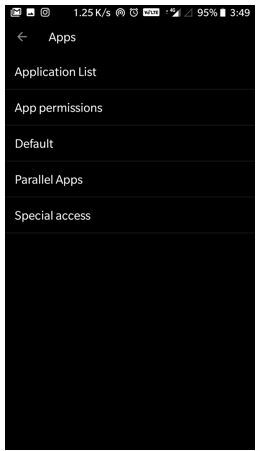 Few phones have this option under Settings->Apps-> Application list. You get an idea of Apps list from the below screenshot. Once you get all your installed Apps, search for Google Chrome browser app. After finding the Chrome tap on that. The different option will appear there, select the Storage one. 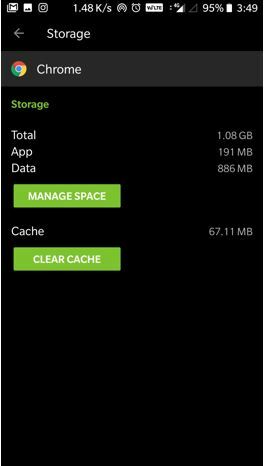 Under the storage settings, you will get two options — Manage Space and Clear Cache. Select the Manage Space. Under the Chrome Manage Space option, you will get three options. 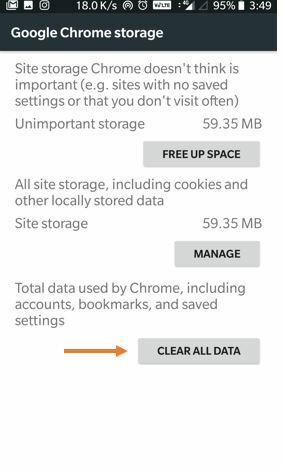 First, Free up Space and second is Manage option to clean all site storage including cookies and other locally stored chrome data. 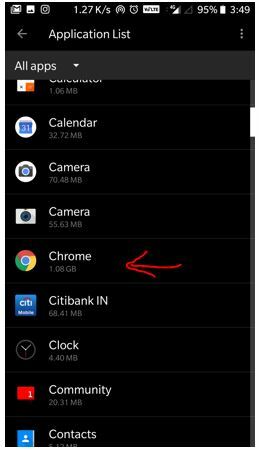 The last option is Clear All Data which delete all chrome data including accounts, bookmarks and save the setting in order to reset it defaults. 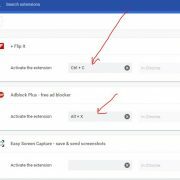 If you are using multiple browsers but the Google Chrome is your default and want to clean that it from the default browser app from your Android phone then again tap on the Chrome app from the App list. 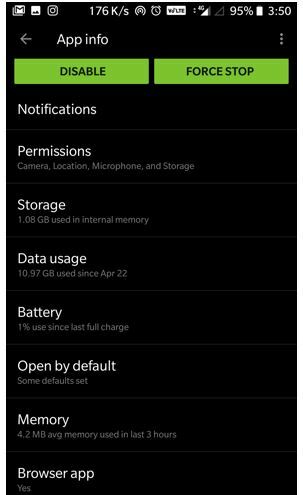 This time instead of Storage, select the option called Open defaults. And tap on the button called “Clear Defaults”. 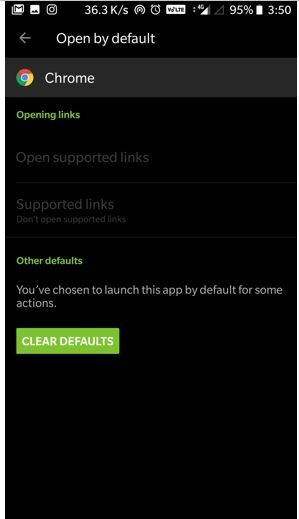 I hope this small tutorial on the how to reset Google Chrome browser settings on the Android phone will help you some way. If you have any query the comments box is all yours!! How to delete the Instagram account permanently?